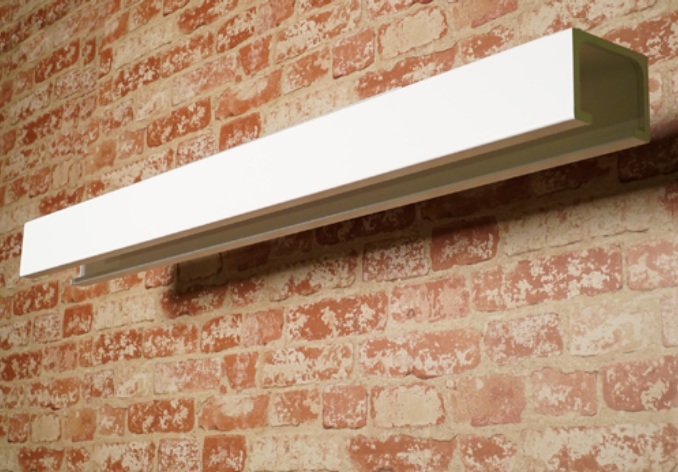 The Line Excel Strip Light takes advantage of spacing and design. 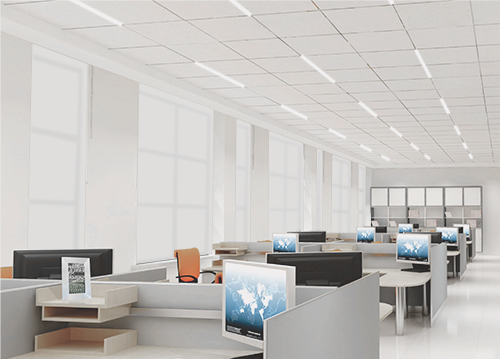 It merges LED perfectly into any office, retail shop, school, hospital, and many other open spaces. High efficiency and low glare. 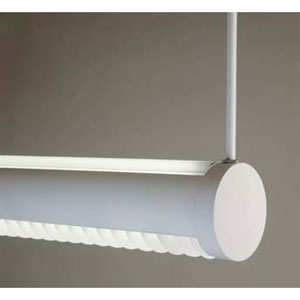 With a combination of small SMD LEDs and a diffusing lens cover, Line Excel produces a clean, crisp light. Line Excel is designed to fit directly into your existing grid. 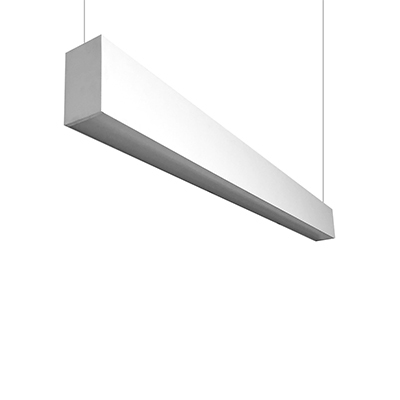 The V2 is our most popular light fixture in the Lumenera lighting family, providing a sleek, slim profile design ideal for today’s linear LED lighting in modern offices, hospitality and retail environments. 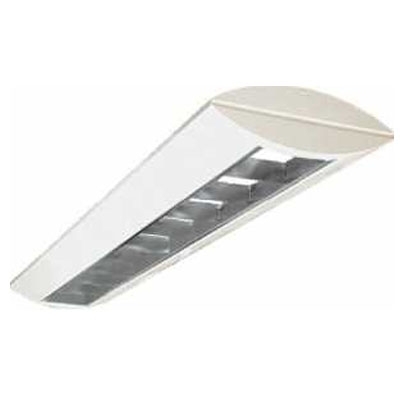 The narrow profile meets the requirements for wall mounting fixtures outlined by the Americans with Disabilities Act (ADA) and provides smooth accents for illuminating the vertical plane. For pendants and surface mounting, the V2 is a powerful direct/indirect light source, making this an ideal choice for common areas. Continuous rows are custom-designed by our engineering team to eliminate light breaks in runs, as well as shadowing. Powered by Philips LED boards in multiple color temperatures, and with drivers dimmable down to just 1%, the V2 is a practical design for illuminating common areas. Solid extruded aluminum housing and steel end plates, powder coated matte white finish. Custom colors are available. Philips Xilanium Universal LED Drivers, compatible with 0-10V dimming systems, deliver reliable, smooth dimming performance down to a minimum of 1%. 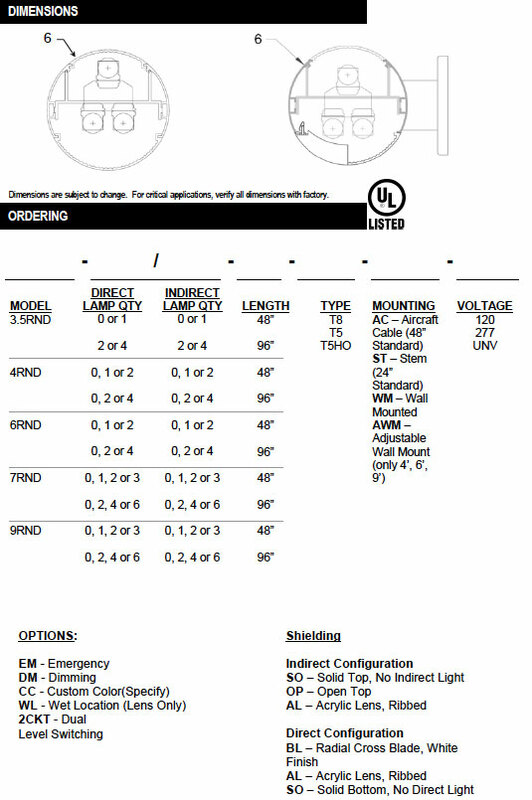 Drivers can be calibrated for specific lumen output. 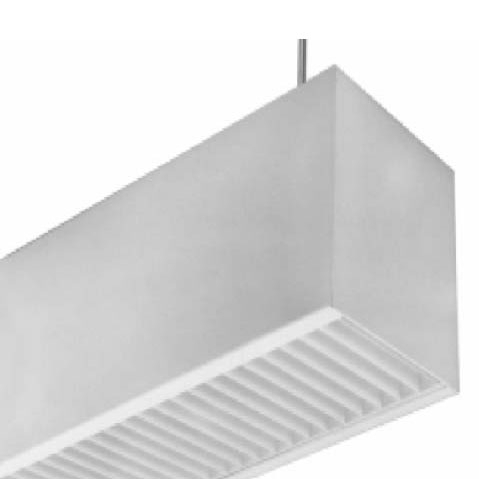 For pendants, white rounded power cable is an SJ 18/3 conductor wire to canopy mounted to ceiling J-Box. For surface mount, 4″ square plate powder coated lo match finish. For wall mounting, heavy-gauge rolled steel channel painted to match housing is secured to unit which attaches to a galvanized steel wall channel, for ease of installation. For continuous runs, factory will provide two 1″ steel pins at the end of each module which are inserted in the end grooves of the extrusion. These pins are then inserted into the joining module and are secured at the roof of the housing by a 16 Gauge joiner bracket that goes over the two quarter twenty studs (one stud at the end of each joining module). 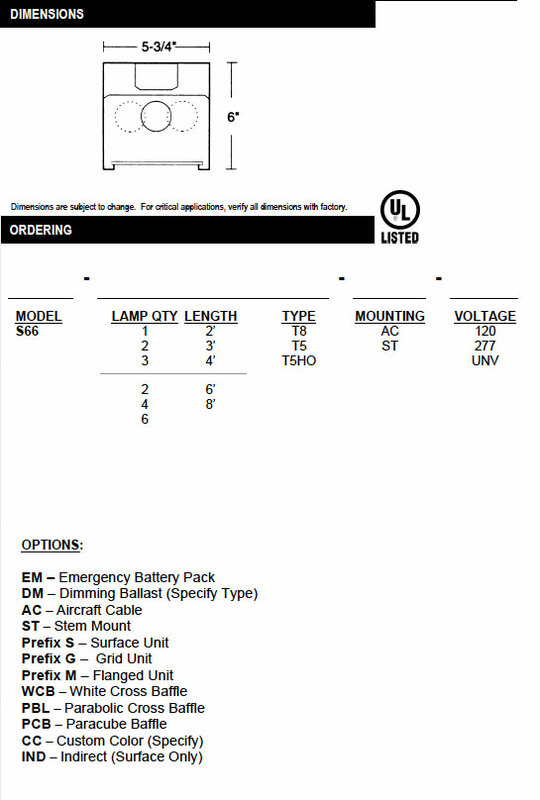 Each module in the run is labeled for easy field installation. 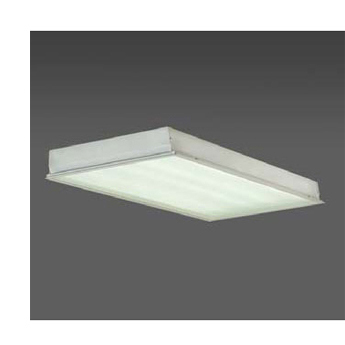 The Tri-Proof Light has a unique patented design – widely used in underground parking lots, metro stations, airports, harbors, factories, underground tunnels, outdoor playgrounds, indoor stadiums and other humid environments. 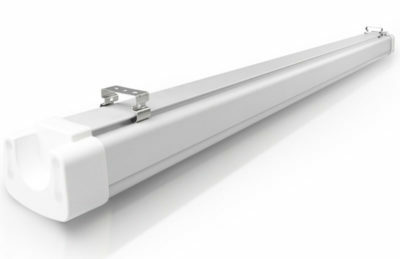 The YYBLED is available in 35W LED, 48” lengths. Ideal for classrooms, offices, conference rooms and reception areas. 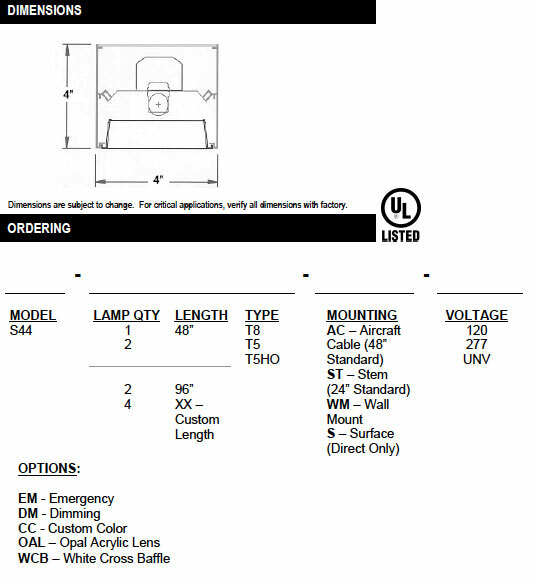 Available as direct/indirect pendant or direct surface mount. Individual or continous row mounting with cables or stems. Continious rows achieved with contoured joiners. Lens features snap-in installation for easy lamp replacement. Constructed of heavy gauge steel treated with anti-rust protection. 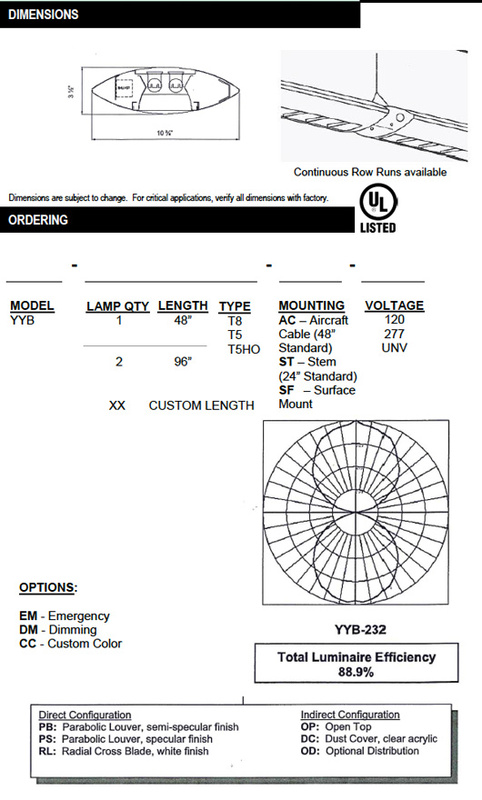 120-277V – Highest quality LED boards and driver system. Fixture body post painted with white gloss enamel. 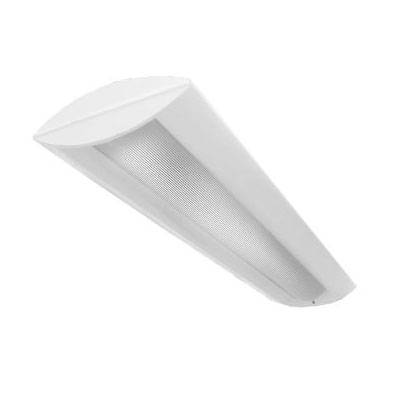 The OS4 is a robust open square design utilizing parallel rows of LED boards to illuminate a highly reflective interior creating a smooth and elegant indirect/direct light source. For direct lighting, low profile LED drivers are mounted in the center of the housing 2” in from the sides with little or no visibility from the floor. Remote drivers can be specified for applications with low ceiling mounts and for projects requiring an indirect, uplight component. Utilizing Philips LED boards in multiple color temperatures and drivers dimmable down to just 1%, the OS4 provides high quality, even lighting from a unique light source. 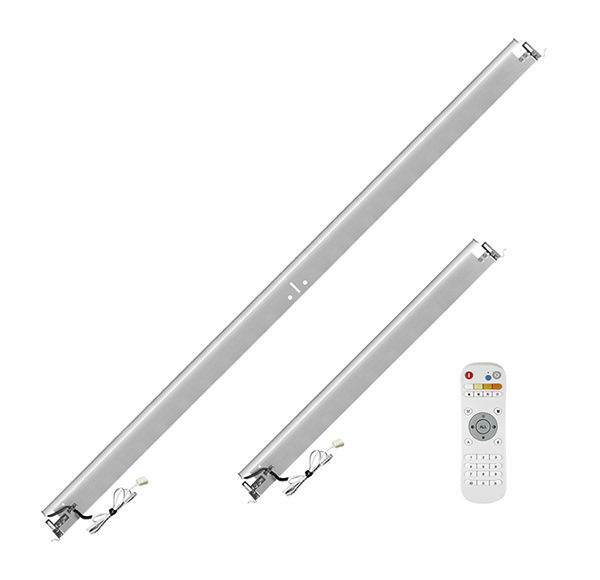 Available in 2’, 3’, 4’, 6’ and 8’ lengths, in 1 and 2 lamp configurations, T8 and T5. 6”x6” narrow design is architecturally-preferred for installation in corridors, lobbies, and office areas. 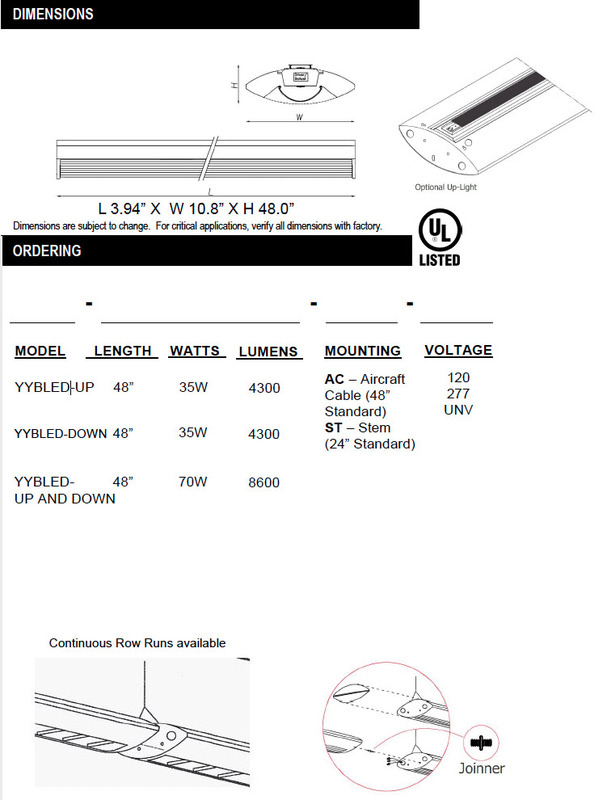 Direct downlight is standard. Indirect and direct/indirect applications are available as options. 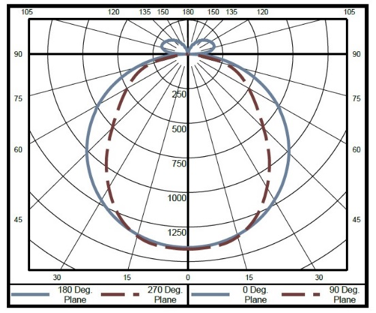 Individual and continuous row for both surface and pendant mounting. Alignment brackets are available for continuous row installation. Ends seams are fitted to provide the appearance of continuous smooth channel. Knockouts on channel ends allow for through wiring or end feed. Die-formed, welded heavy gauge cold-rolled steel. 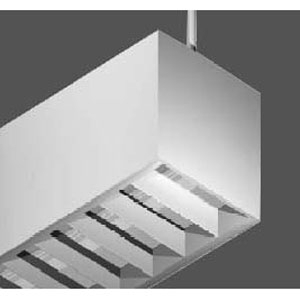 Uplight fixtures are provided with (2) rows of 1/2” apertures along top of the housing which provide approximately 12% uplight. Acrylic prismatic is standard. Optional white cross baffle, paracube, and parabolic semispecular cross baffle. All metal parts post painted with premium grade white enamel with a minimum 89% reflectance applied over iron phosphate pretreatment for maximum adhesion and rust resistance.